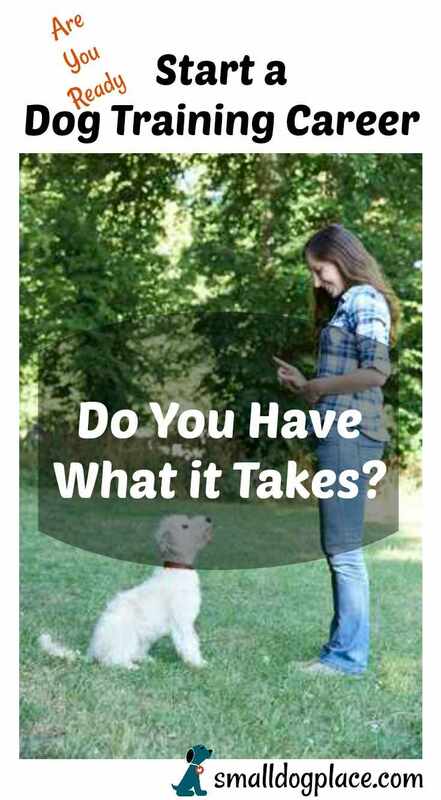 Is a Dog Training Career in Your Future? We all love having pets and dogs have always been the most faithful animal one can keep along with himself. If you have kids at home and feel sorry because you are unable to find adequate time for them due to your hectic schedule, then getting a dog to serve as a companion to your children can be the best gift you can give. Even though you provided your children with a dog, you still need to take charge where it comes to training. We often tend to forget to make appropriate training arrangements for our pets. Having an adorable pet is certainly the best thing you can own, but at the same time, you need to make sure that it obeys your commands and is under your control. This will help you maintain a less chaotic home, and it will also strengthen the bond that you have been sharing with your pet. Therefore, you need to get a trainer who can guide your pet. After experiencing a rewarding experience training your dog, you may decide that dog training may be a great career. If you love pets, particularly dogs and feel like sharing a nice and warm bond with them, you can certainly opt for this career to be a dog trainer. 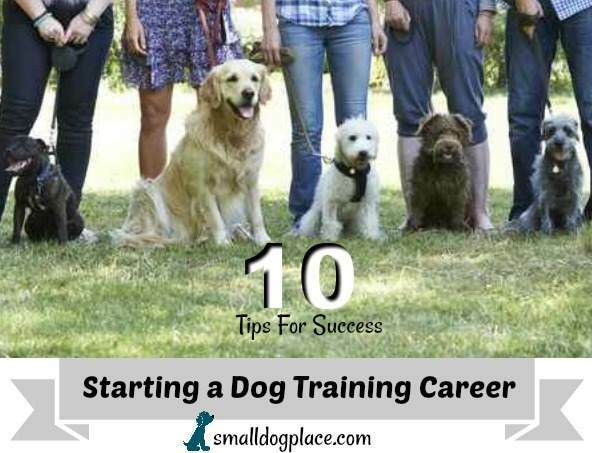 Ten Personal Skills to Develop if you want to go into a Dog Training Career? Do not abandon the training plan all of a sudden, but rather stick to it. Stay consistent with your methodology, way of approach, training schedule as well as your delivery of commands. Repetition and familiarization play the key factors to produce a successful training session. To be a successful dog trainer, you need to have plenty patience, both from your human and also canine clients. Injuries can occur such as dog bites or scratches, so you also need to develop quick reflexes to stay safe. It isn't surprising to encounter clients who insist that their dog be perfectly trained overnight. This, of course, is not realistic or doable, so you will also need to maintain composure and act most professionally. Politeness always wins the day. As a dog trainer, your job is never complete when you just know to make out your dog's behaviour. 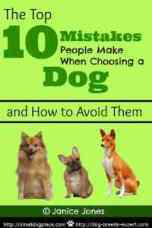 Consequently, you also need to teach pet owners about how they would treat their dogs. You need to make the pet owners realise that the foundation of the training is to be led from the home itself. Hence, you need to know communicating in such a manner that your clients can comprehend to make a successful training session. Address the client concerns, listen to your clients and offer in-depth explanations to be a successful trainer. Dog training is somewhat similar to most other business. Both of these topics are very broad and beyond the scope of this article. There are so many resources through which you can market your business among your clients, and the best way to deal here is to generate advice from blogs, podcasts, and books. Even though we are not covering these skills, do not neglect to build an official legal business including starting with a business plan. Want to grow into a successful dog trainer? You need to practice things that you have learned on dogs before you take up any client. You can go to a local shelter and try out different training methods, various types of dogs over there. You will also want to train your dogs and perhaps the dogs of a friend. The more hands-on experience you have, the better chance that you will be successful. You must know that dogs need time to unwind and they too, behave somewhat similar to humans. Therefore, you need to make it feel both energetic and relaxed during the session. Do not get frustrated, rather take breaks and then return to the task over again. Likewise, don't expect your dog training career to be highly successful on the first day. It takes time to grow a business so remember to pace yourself and take breaks out of your hectic schedule for your own health. Dogs often begin training when they are very young. They need care and love just like human babies. Being separated from its mother and litter mates for the first time it is not unusual for them to feel frightened amidst the humans. You need to make the puppy feel comfortable and secure. This will also help your pup trust you. Remember, they are sensitive, and you need to handle them with love in an extremely delicate manner. Once it starts believing in you, it will also show its faith towards you! A lot of people are seen to opt for this profession initially for they own a genuine love for dogs, if this is your case and you have been enjoying the company of dogs, it is something great. It is never possible to succeed if you find yourself getting stressed out in this process of business. You ought to maintain a positive attitude within yourself, and that is how you can keep your dogs engaged. You may confront several gratifying as well as trying times, but consistency counts if you want to be a successful dog trainer. It is essential to design the training session in a way that it appears to be challenging, funny as well as rewarding, all three at the same time. 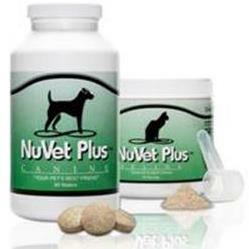 The enthusiasm, as well as the level of energy that you put in your training session, will positively affect the dogs. You need to interpret the body language of the dog if you plan to train them. Even though dogs cannot speak, they will try to communicate with you, especially if you are willing to listen and look. Observing and understanding body language is the way you can communicate with them. Often, problems and training failures can be traced back to a misunderstanding and misinterpretation on the part of the trainer. At first, new trainers may look at this canine behaviour to be mysterious, but with practice, a trainer develops a keen eye and understanding of what the dog is trying to communicate. This skill is particularly important to develop as a trainer so that you can notice the emotions of fear, anxiety; You need to know when a dog is displaying fear or anxiety and deal with the emotions before trying to continue the training session. Sometimes an overly anxious dog does better if you stop and resume training later. The Breeds: Characteristics and Personality Traits and how they are categorized. You don't want to be caught off guard if an unfamiliar dog breed turns out to be strong and powerful. General Health and First Aid: You never know when a dog in your care may get hurt or sick. Basic Grooming: You are not a groomer but be prepared in the event that your client asks you how to best train their dog to tolerate grooming. There is not a one size fits all approach to becoming a dog trainer. Dog lovers and enthusiasts enter their dog training career from many different paths. There are many online courses that one can take to get the background knowledge but do not provide any hands-on training. That part is left up to you. Online learning is ideal for people with busy schedules or stay-at-home moms. The one drawback of online training is that is fundamentally book learning. It requires one to be disciplined and motivated. If you have some experience, a dog training school may take you on as an apprentice to help with a class or two eventually leading you to be a trainer. On the job training is an excellent way to observe master instructors and practice your craft. The drawback to this type of training is that you do not acquire the background knowledge needed to be not only a skilled trainer but also a knowledgeable resource person for your clients. This organization has also provided a reading list of recommended books on training and behavior. These books are available on Amazon either as eBooks or paper ones. A Note from Janice: I have read the books below and have them in my personal library. I highly recommend any and all of the books. They are well-written by experts in the field, informative and a fun read. A dog training career can be fun and rewarding, but it does take some time to master all the details. Start by reading a couple of good books on dog training and then pursue avenues available to you to get your hands on experience.